Home UKCAT Practice Tests What is UKCAT? in your journey to medical school. 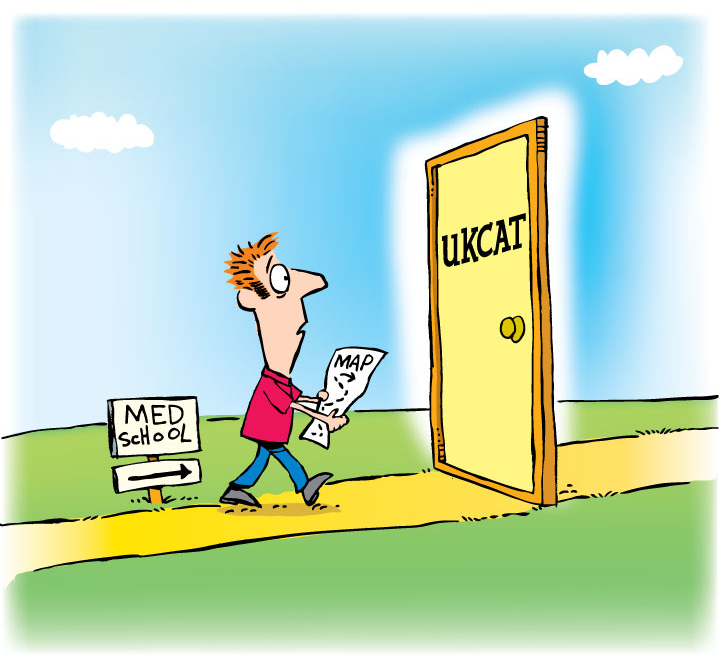 UKCAT is a test used in the assessment and selection process by a group of UK University Medical and Dental Schools. There is no knowledge-based component to the test, so you will never be asked about the difference between a viral and bacterial infection or the way an amoeba duplicates itself. It is designed to measure skills such as reading comprehension or calculus skills instead of your knowledge of facts and figures. The requirement to take the test applies to all UK, EU and the majority of international applicants. There are test centres in locations around the world, including all European Union countries.